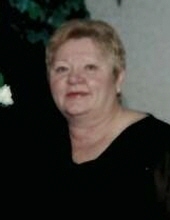 Janice Brzezinski, nee Kucharski, age 69, passed away peacefully on April 1, 2019. Janice was the beloved wife of the late John; cherished grandmother of Angelo and Ashley Brzezinski, Emily Winland and the late Kelly Brzezinskil; great grandmother of 1; dear sister of Terry Kucharski and the late Regina Skiba. Janice was a fond aunt of many. Visitation Saturday from 8:00 a.m. until 10:00 a.m. at Cumberland Chapels 8300 W. Lawrence Ave., Norridge, IL. A 10:30 a.m. funeral mass will follow at St. Eugene Church in Chicago, and the interment will be private. Please Omit Flowers. For more information call 708-456-8300. To send flowers or a remembrance gift to the family of Janice Brzezinski, please visit our Tribute Store. "Email Address" would like to share the life celebration of Janice Brzezinski. Click on the "link" to go to share a favorite memory or leave a condolence message for the family.